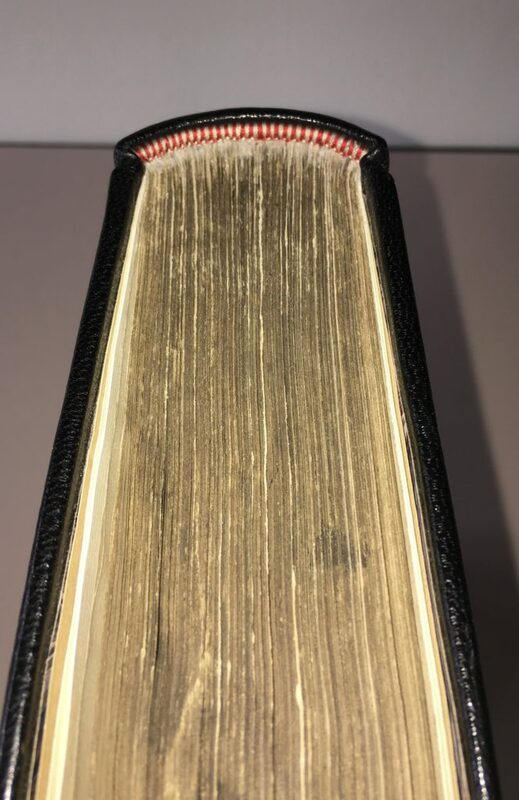 Both boards of this 1807 volume of Chancery Law Cases were burnt and could not be saved necessitating the rebinding of the book. 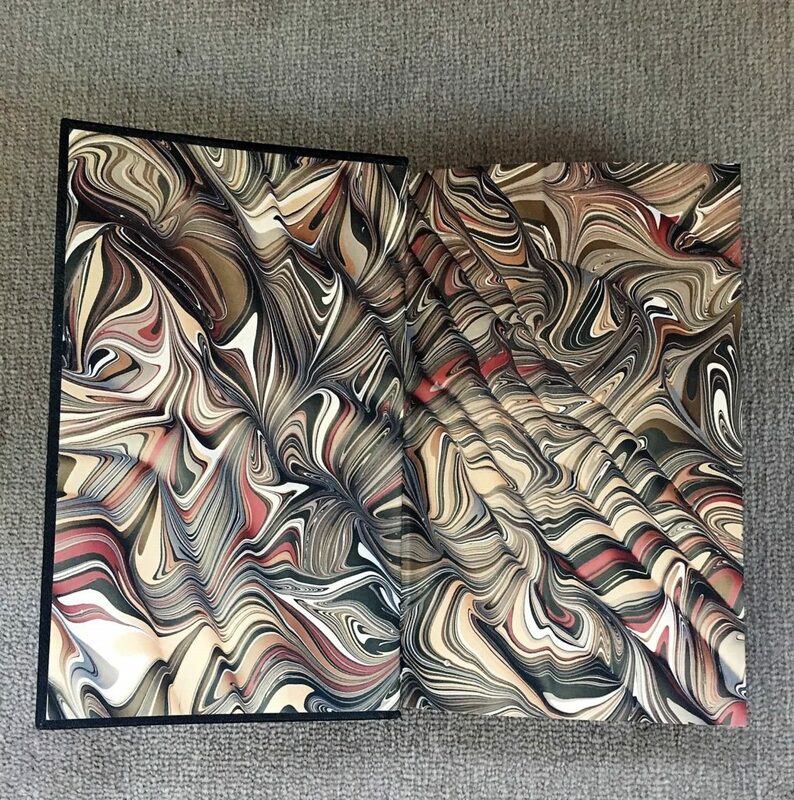 So the book was disbound; re-sewn on double raised cords; and covered in new black goat leather with marbled endpapers. 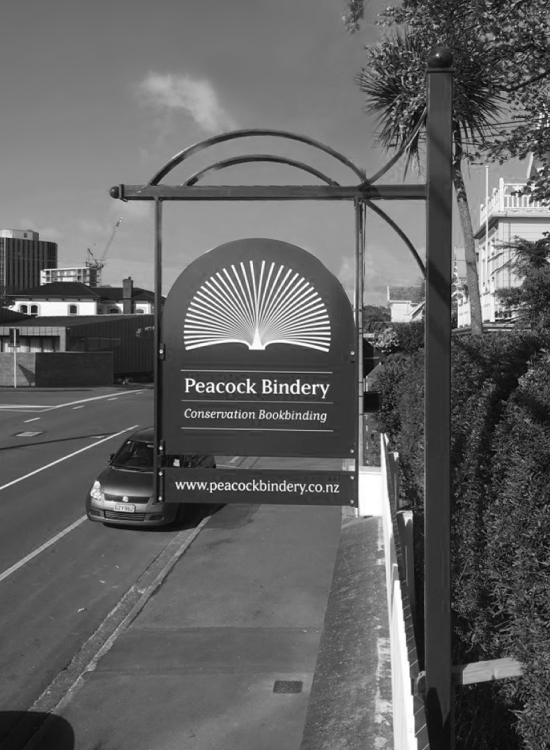 A title was tooled in gold on the spine. Both boards were decorated with gold tooling. Finally a clamshell box was made to house the book. 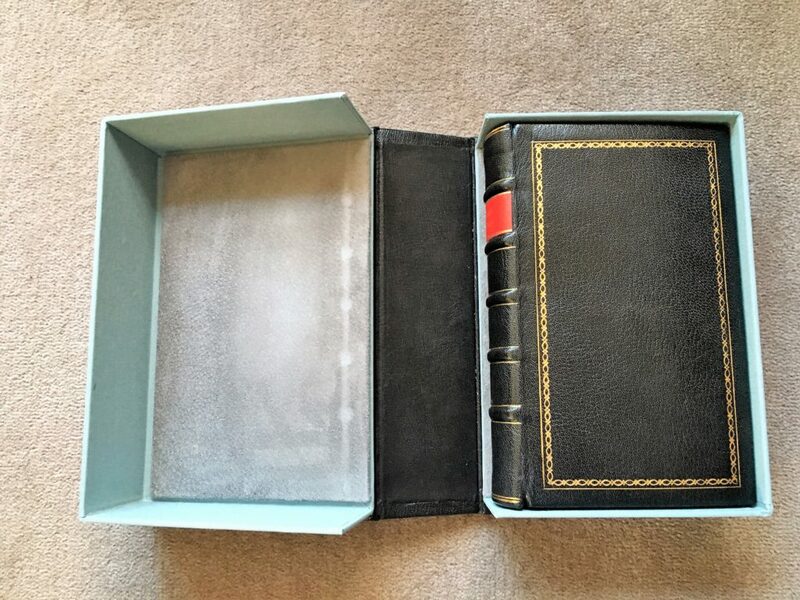 Vesey’s Reports: rebound book in clamshell box. 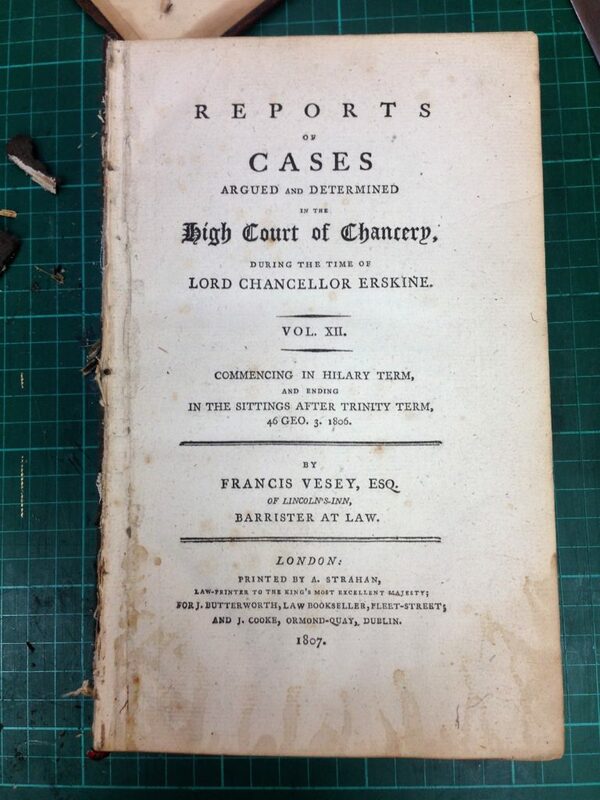 Vesey’s Reports: original front board – note burnt leather. Vesey’s Reports: original title page. 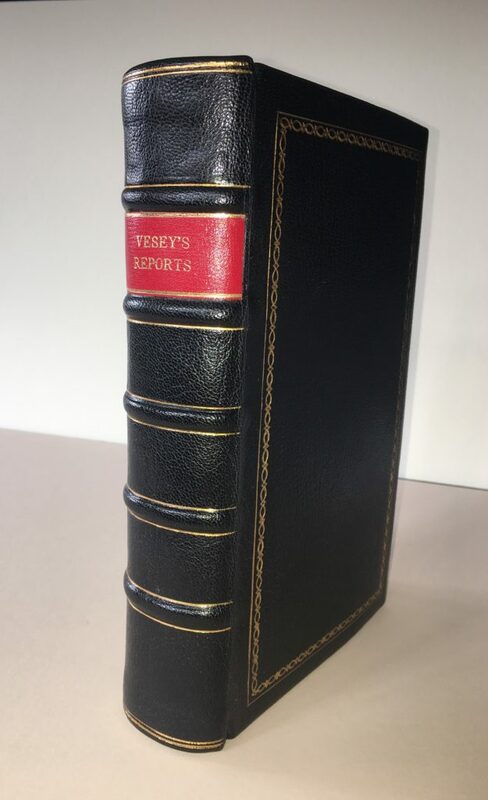 Vesey’s Reports: rebound book on five raised cords in black goat leather with gold tooling. 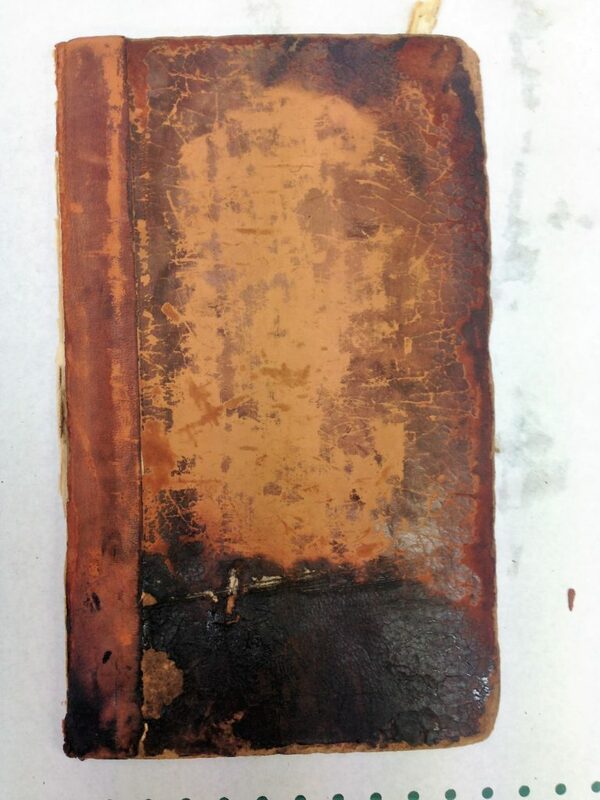 Vesey’s Reports: after rebinding – front pastedown and flyleaf. Marble paper is from Chena River Marblers, USA. Vesey’s Reports: detail of sewn silk headband.